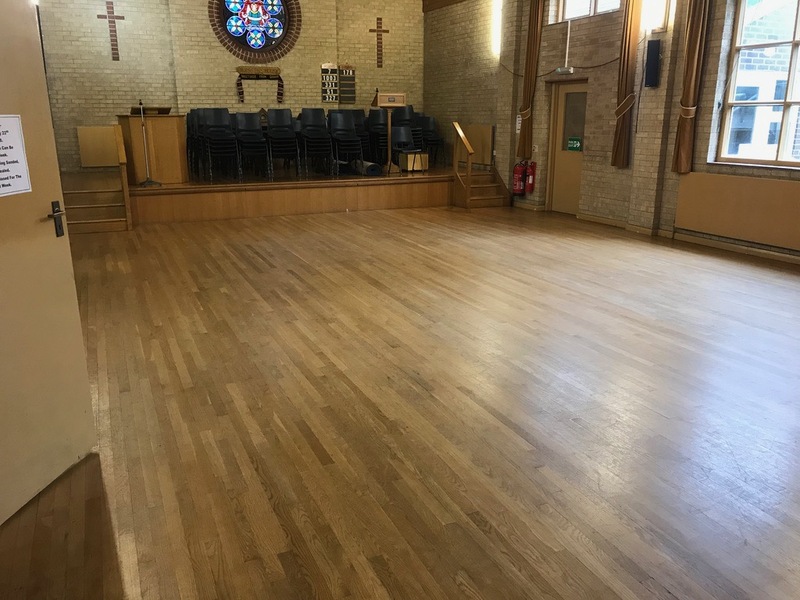 80 sqm of Oak Hardwood Church Hall Floor Restored by Floorcare Services. You can also view this project on Time Lapse video 64 on the Commercial Floor Sanding & Sealing – Videos Page. This Church Hall Floor restoration was in Belper, Derbyshire. 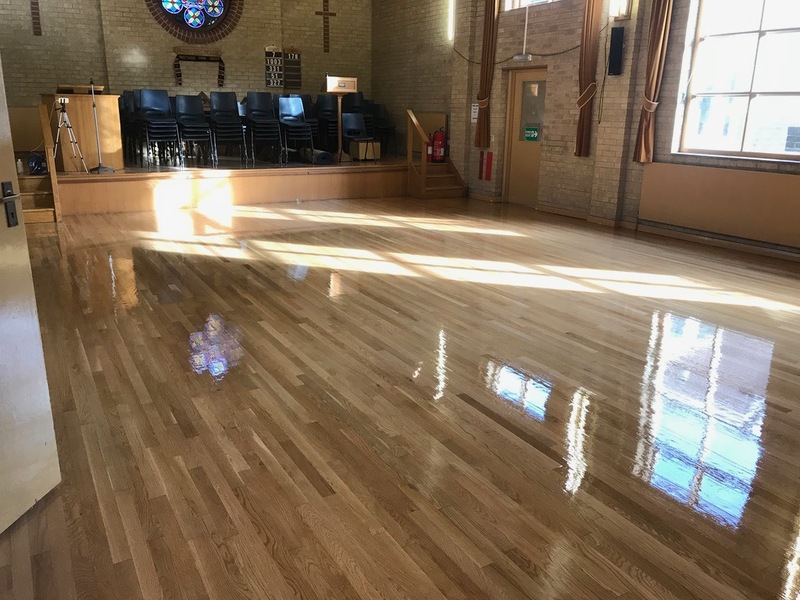 It was sanded back to bare wood and Sealed with 3 coats of Moor Floor Finishes (formally Floortech Products) – ‘Acryseal’ & ‘Aquaguard’ a two component ( 2 pack ) Water based polyurethane commercial grade floor seal conforming to EN BS 14904 Slip resistance for indoor sports play. Aquaguard seal is design for areas exposed to extreme wear. The floor was sanded back to bare wood removing all previous finish / seal / varnish, removing wear marks and any damage and scratches. It was primed with 1 coat of Acryseal the followed with 2 coats of Aquaguard. This Church Hall Floor was completed in a total of 2 days only.